Females account for about one-quarter of the 25 million-plus recreational golfers in the United States. When I was writing Dr. Divot’s Guide to Golf Injuries I knew all along that I would have a separate section in the book for female golfers. While performing my research for the book I came across a thick medical text written exclusively about the female athlete. It was a very comprehensive book that covered every conceivable sport. I eagerly flipped to the chapter on golf, hoping to uncover some juicy new material. What I found, however, was the same material I was already familiar with. The point here is that even though females are well represented among the golfing population, there is surprisingly little research published in the medical literature that is dedicated specifically to the woman golfer. What we do know about injuries among female players comes from large published surveys of professional and amateur female golfers. These surveys shed light on how frequent injuries are among the ladies. 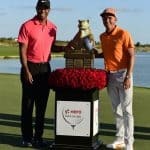 First, the professionals: One survey of nearly one hundred LPGA members revealed that greater than eighty percent of these golfers reported having suffered a golf-related injury, and that there were an average of two injuries incurred per player. The typical injury forced the female pro to miss almost three weeks from the Tour, though some players reported missing up to one year from the competition due to their injuries. In summary, female professional golfers experience the same high injury rate that their male counterparts on the PGA Tour do (the males also report an injury rate of about eighty percent). Overuse injuries, brought on by the relentless practice and play schedules these players maintain, predominate. Now for the amateurs: One large published survey of amateur golfers (which included both men and women) provides some insight. For starters, the overall frequency of injuries was virtually the same for women and men—just over sixty percent for both sexes. So, there are many similarities and a couple of differences in the injury patterns of female and male golfers. Women golfers (amateur and pro) run the same overall high risk of injury as the men (about an eighty percent injury rate for professionals and about sixty percent for the amateurs, regardless of gender). The left (lead) side is most at risk for all golfers, regardless of their skill level or gender. The overall pattern of distribution of injuries by body part is similar for females and males. One exception to the trend, however, is the disproportionately high rate of back injuries seen among men as compared with women. This is true for both professionals and amateur golfers. Conversely, female golfers (amateur and pro) are more likely to sustain injuries to the upper limb (elbow, wrist, and hand) than male golfers. 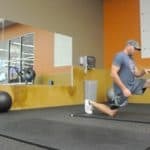 During the golfing season as well as the off season, make sure that you devote time to basic fitness and conditioning. 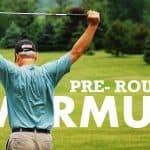 It will prepare your body for the rigors of golf—a game that is surprisingly tough on the body. Next, avoid the temptation to play or practice too much. Our bodies need time to recuperate after each round of golf or trip to the range. Each time you do play or practice, make sure you warm up and stretch beforehand (a complete and proper golf warm-up routine is outlined in Dr. Divot’s Guide to Golf Injuries). Finally, make sure to use proper swing mechanics by having a local golf pro evaluate your swing. Getting lessons from a qualified pro (and not your cranky husband!) is a great way to lower your score and prevent injury. Conditioning and Preventive Exercises for GolfMissing a two-foot putt is not the most painful part of golf!